Lately I have found myself more committed than ever to become the best person I can be. 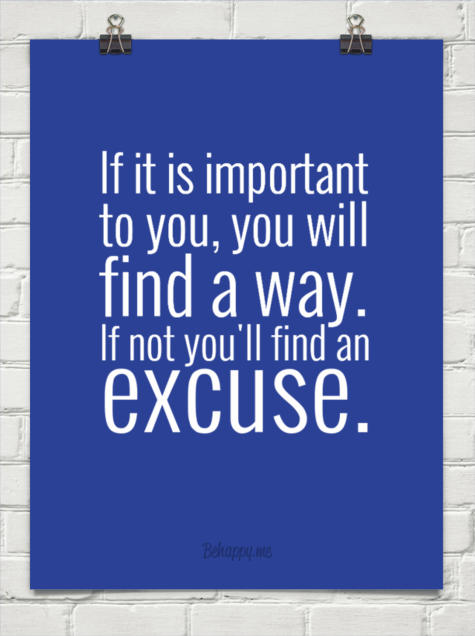 Excuses are always available. It is just so easy to give an explanation why you can’t do something. Many people live in “excucity”. No passion for life but tons of excuses. I admit that it is tough to work on living and breathing your commitments. Life gets in the way and it can be tough. Yes, that’s what you have to do when you train for a marathon. I started to train in January and up until now I ran 640 km as part of my training in 2018. Nothing great comes easy. This is character building. This is how I develop mental strength. Doing the things that very few people do. Doing the things that you don’t feel like doing but doing them anyways. Training your mind to get through difficult times no matter what. Side effects may include increased happiness, improved health and well-being. Are you ready to move away from “excucity”? I welcome you into my world.